Following a successful 15-year career in the city as a Personal and Executive Assistant within a number of market leading, high-profile companies such as Merrill Lynch and the AA; entrepreneur and working mum Tiffany Wise founded TWVA in 2016 with a single goal in mind: to offer the same uncompromising, high-quality outsourced PA service to UK-based small businesses too. TWVA has evolved to provide a variety of business support services and is made up of an expert team of associate remote PAs, all of whom have passed a thorough vetting procedure and are committed to the long-term success of the businesses they support. 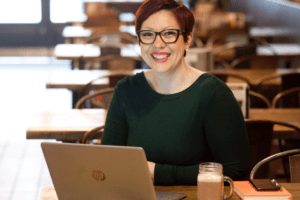 As a business owner that uses virtual business support herself, Tiffany is keen to spread the word about the benefits that come from working with virtual assistants whilst similarly educating business owners on the importance of working with freelancers that adhere to best practice and professional standards. In just two years of business, Tiffany has additionally been shortlisted as a finalist in the ‘Rising Star’ category of the MPower 2018 National Business Awards; recruited to join the VIP VA Advisory Board and taken on the role of Ambassador for the Business Girls Network in her local area.